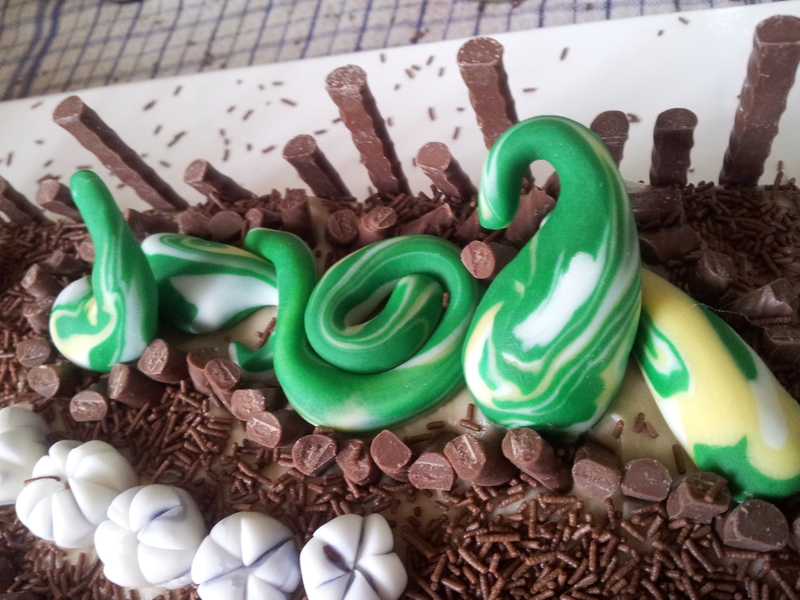 Recently I took on my second attempt at a fondant cake and was really happy with the outcome. 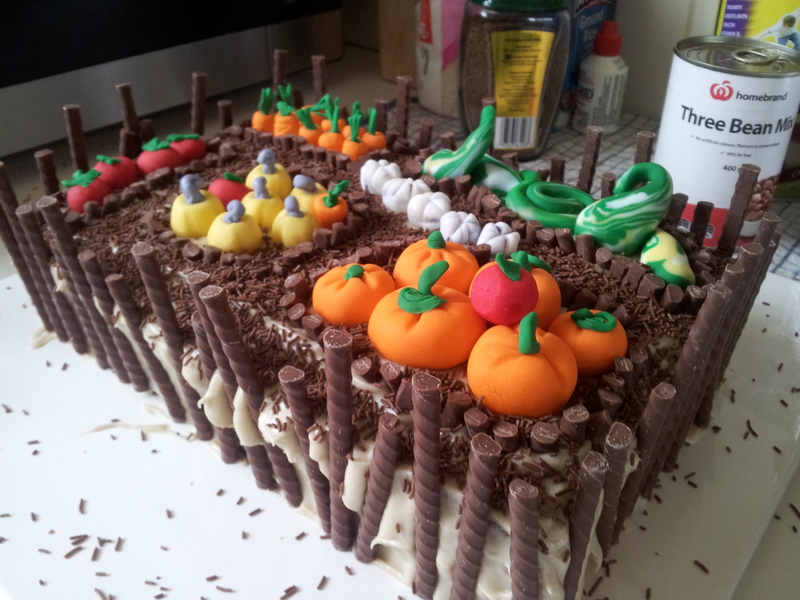 Using this recipe and instructions from Eden Project, I easily made my own veggie garden cake. 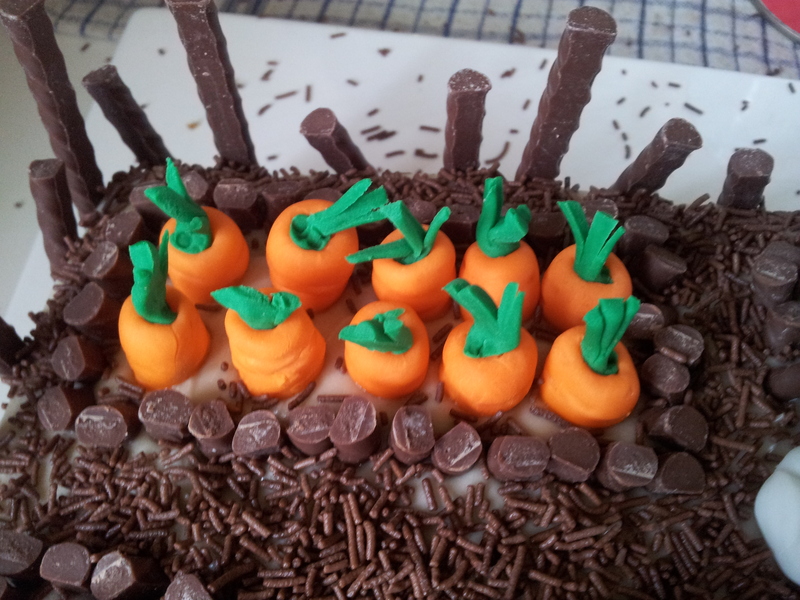 Carrots – These are pretty easy, in that you just roll little bits of orange fondant. But the key is to put little marks on the sides (so they look ‘real’). 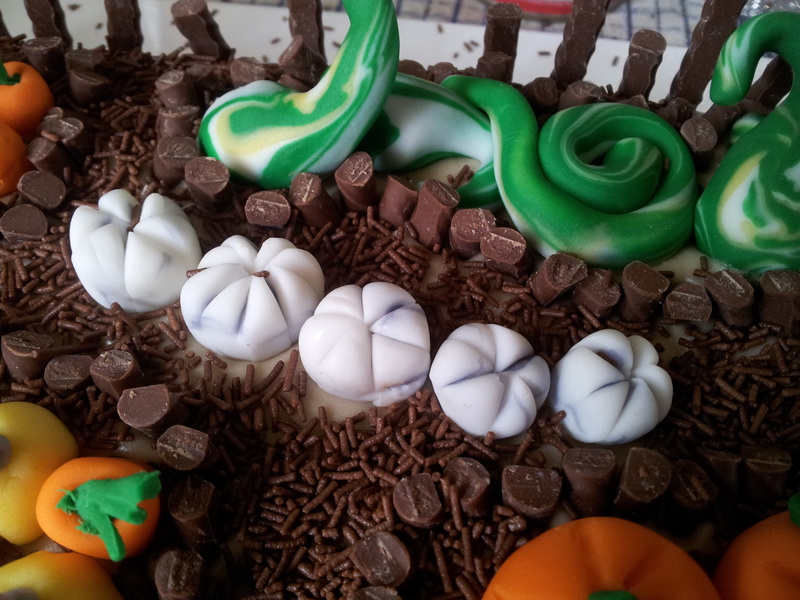 Also, for the tops, use your hands to roll out come green fondant and use a sharp knife to cut just the tops of these little rolls, then press to the top of your carrot. I used a wood skewer to press them in. Yellow squash – using yellow fondant, squish into cubes carefully, then on the square edges pressed it in with a wooden stick, set aside. Roll some purple fondant with my hands into a long thin roll, then rolled slightly to get the ‘curled’ effect for the stems. 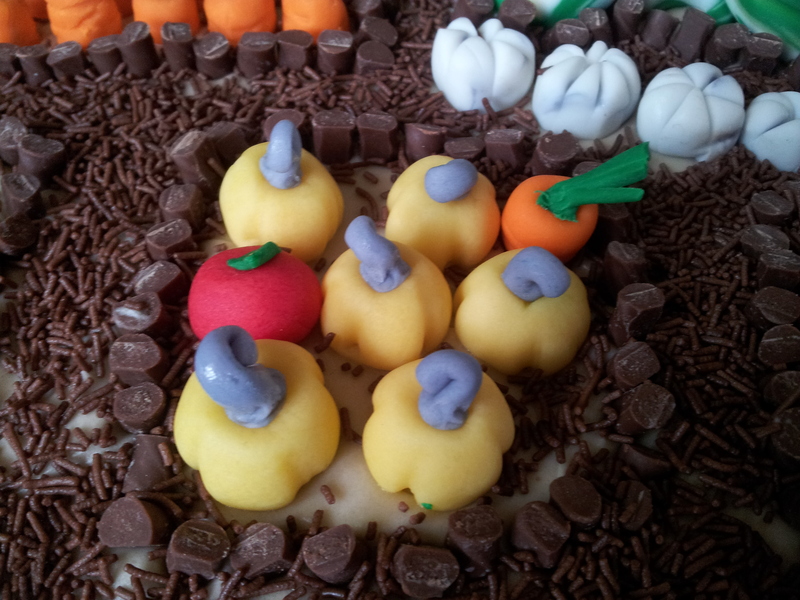 Now press the purple stem it on top of the yellow fondant. Australian garlic – using white fondant, roll two small amounts flat. Roll a small about of purple fondant flat too and place on top of one of the white pieces – then put the remaining white piece of fondant on top. Now roll it all up together until smooth, then press slightly and cut into cubes. Roll the cube into a ball, then cut into segments – press the segments together very lightly. Tromboncino (or gourd) – As with the garlic, you need to combine colours. Roll out two equal sized pieces of green fondant, then a piece of yellow and a piece of white. Place the yellow and white on top of one of the green pieces, then cover with the remaining green. Now roll it all up together until smooth, then press slightly and cut into cubes. Roll the cube into a ball, then, using your hand, roll it slightly so one end is large, and the other longer and thin. Play around with it, it’s forgiving stuff. « What to use when your breasts don’t work?